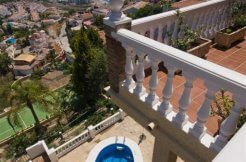 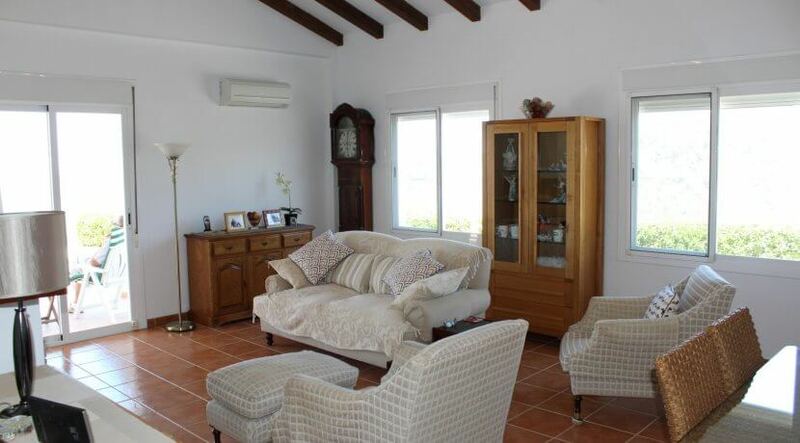 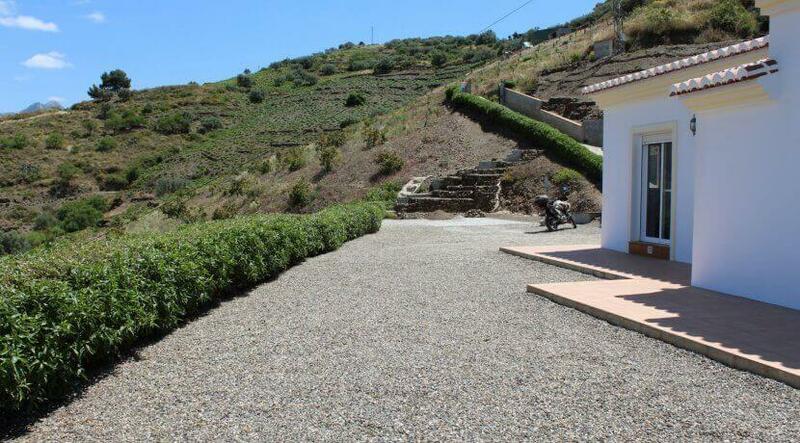 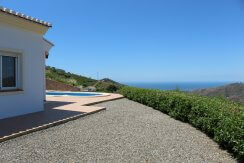 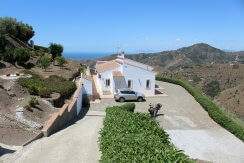 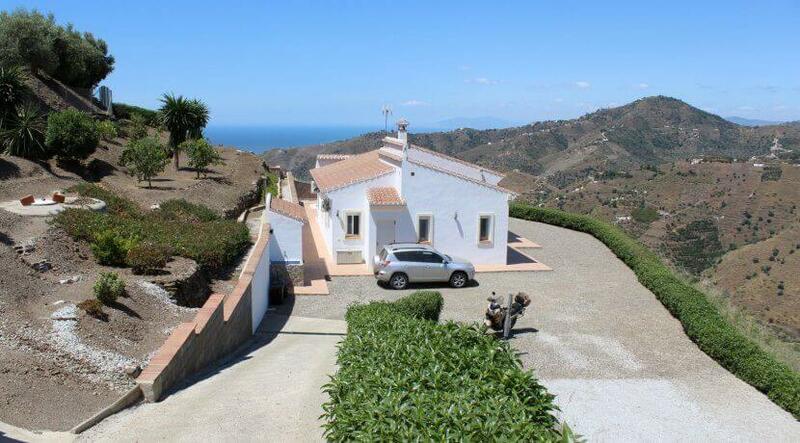 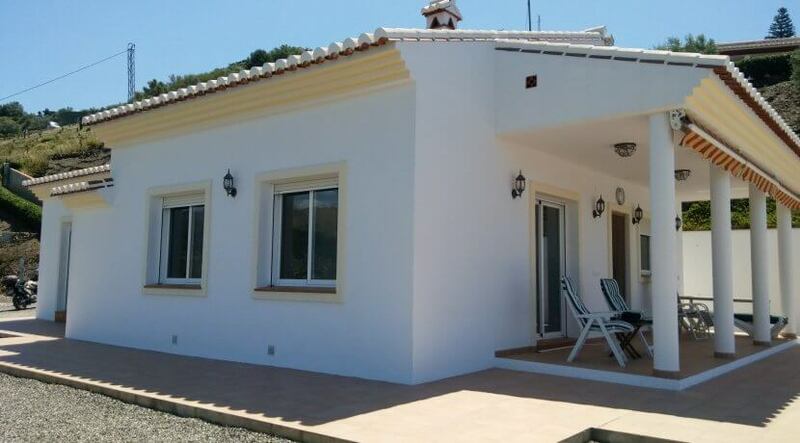 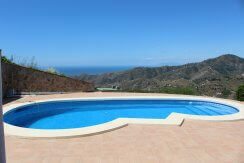 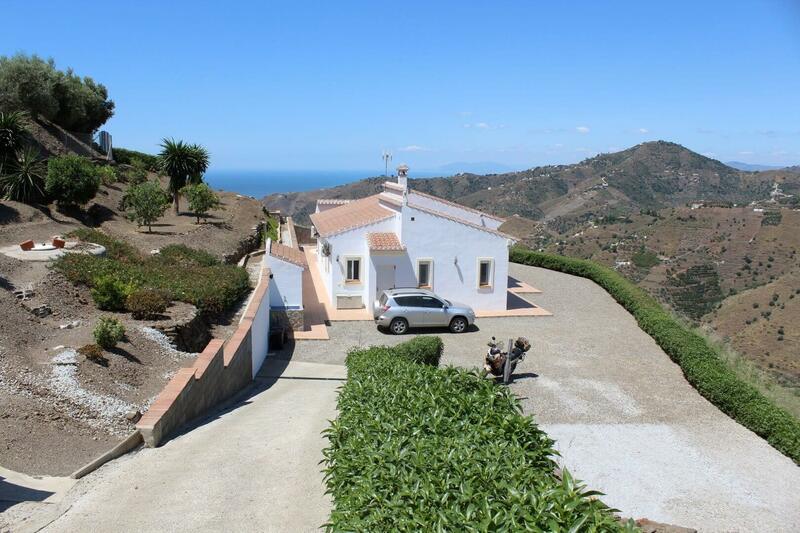 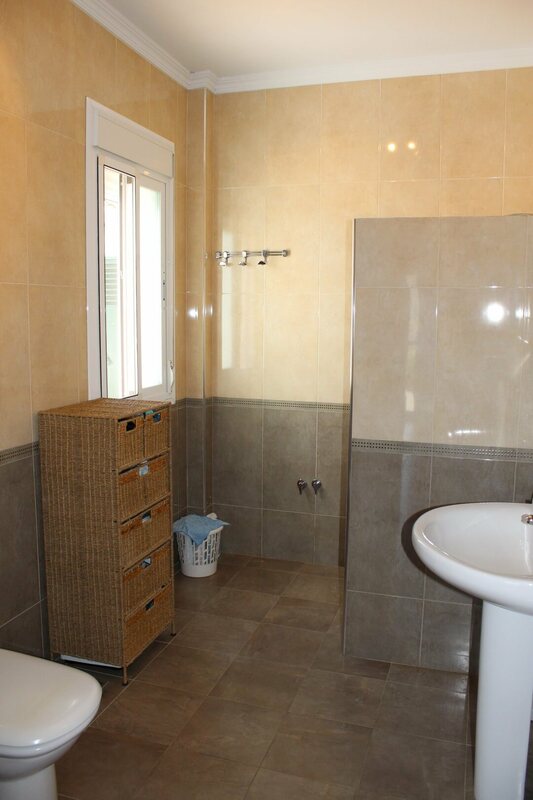 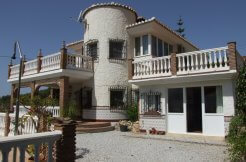 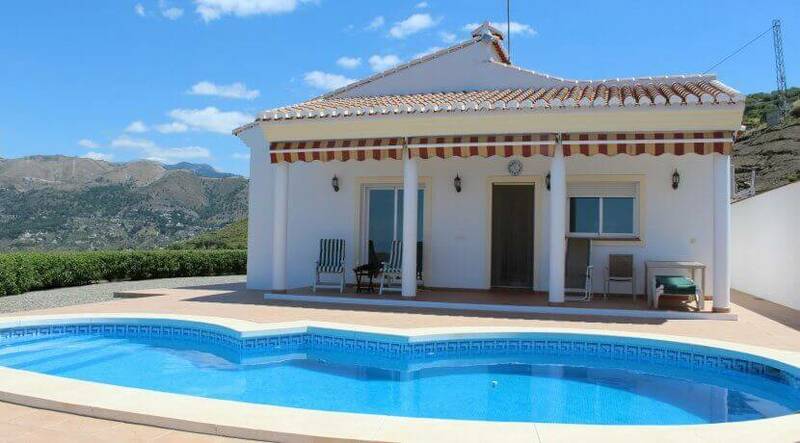 Very well presented detached country villa of extraordinary quality. 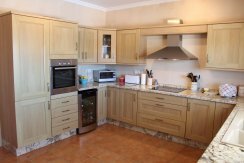 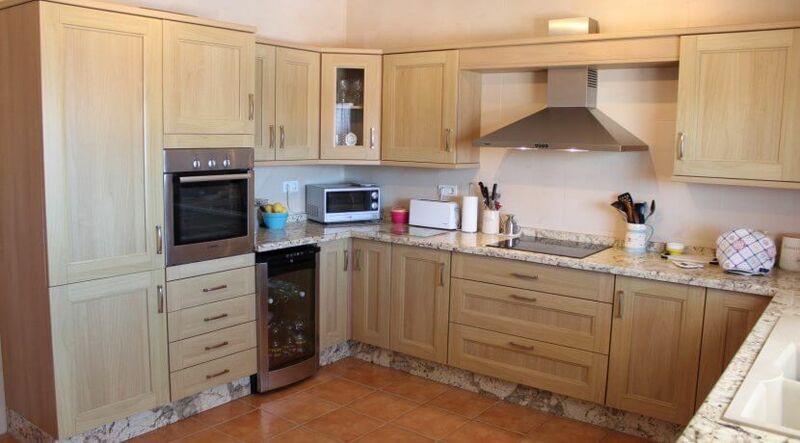 A gated entrance opens to a large plot with plenty of parking spaces, well kept gardens and an immaculate terrace. 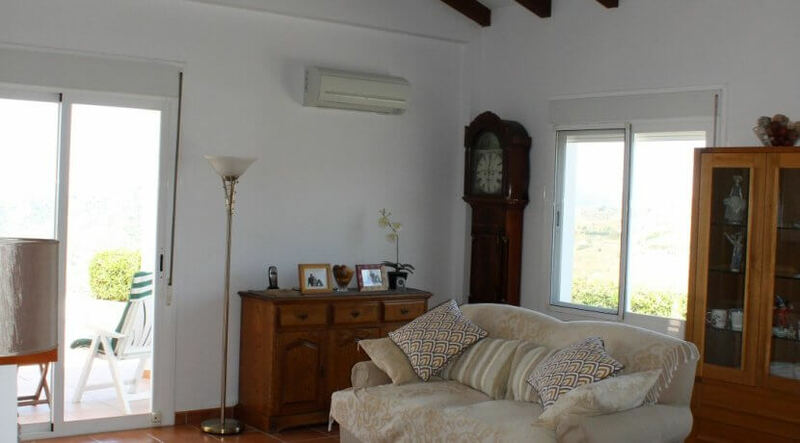 The spacious villa has been designed to the highest specifications and comprises of entrance hall, 3 bedrooms, 2 bathrooms, a bright lounge with high ceiling and a luxury kitchen. 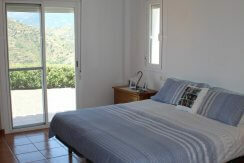 Lounge, kitchen and master bedroom have patio doors with access to garden and terrace. 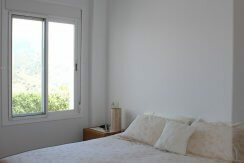 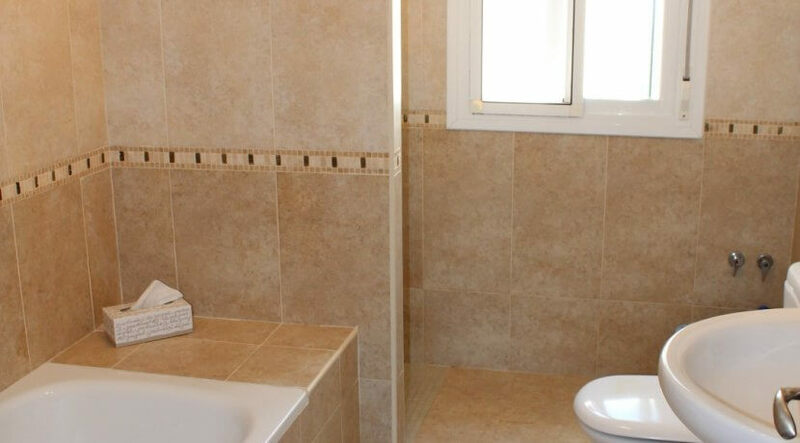 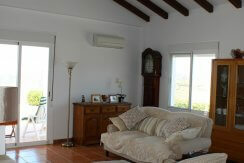 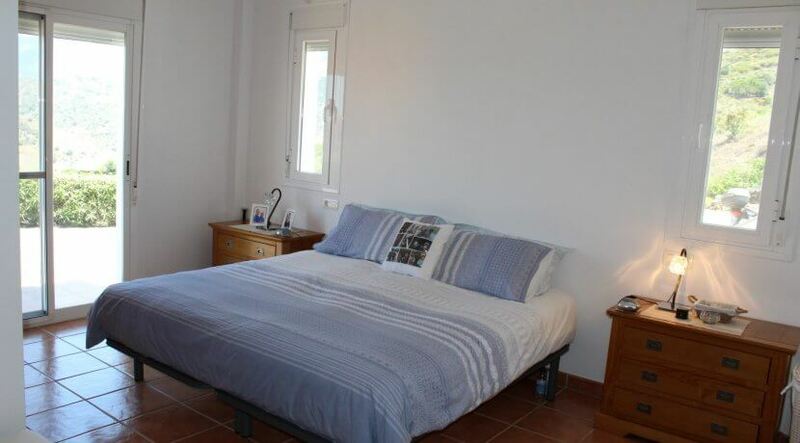 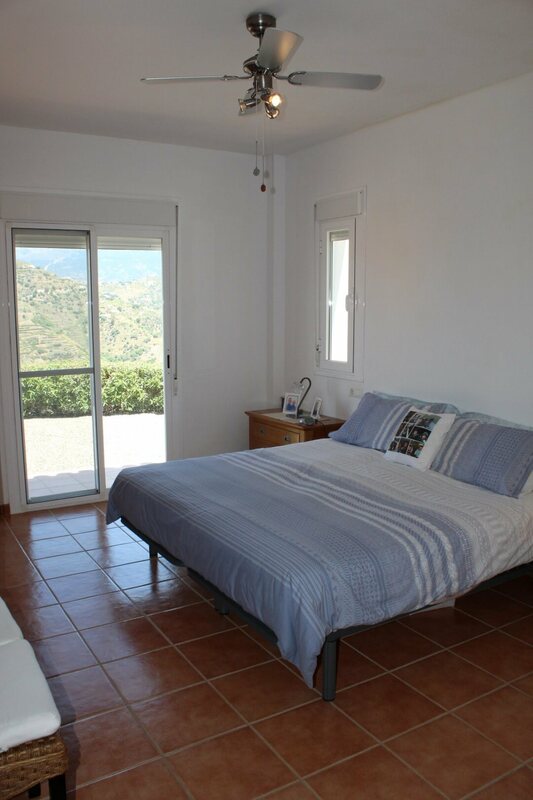 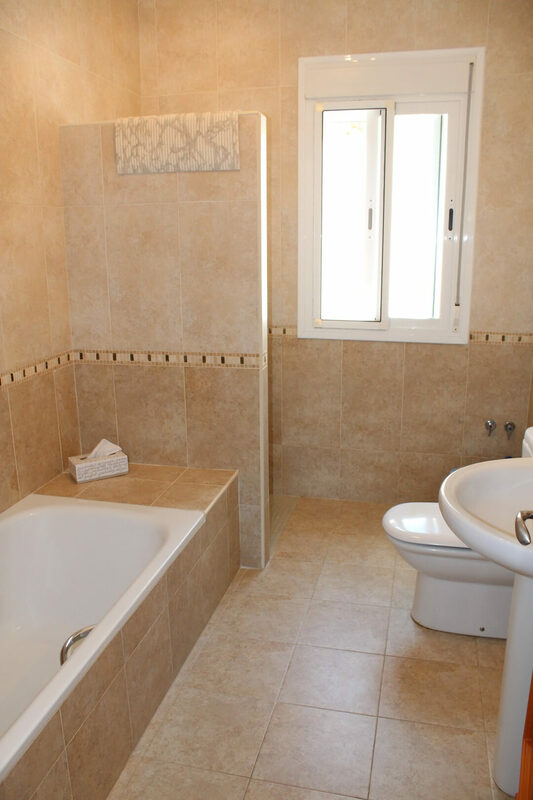 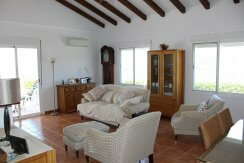 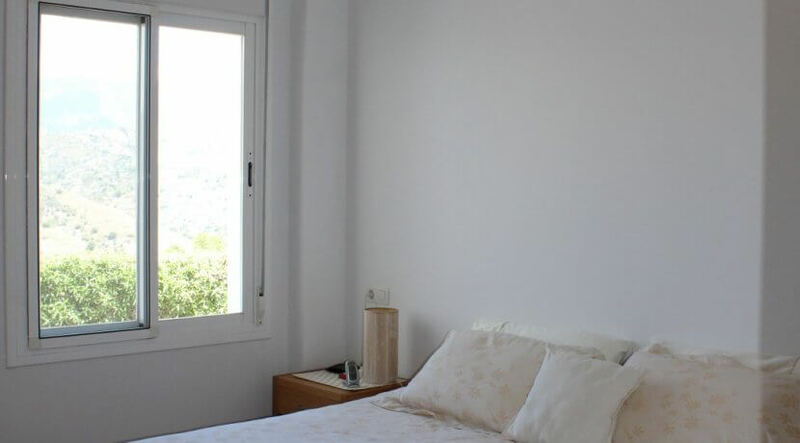 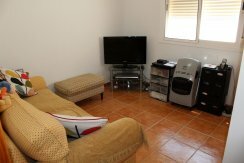 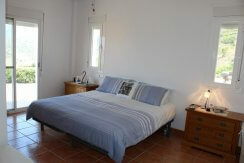 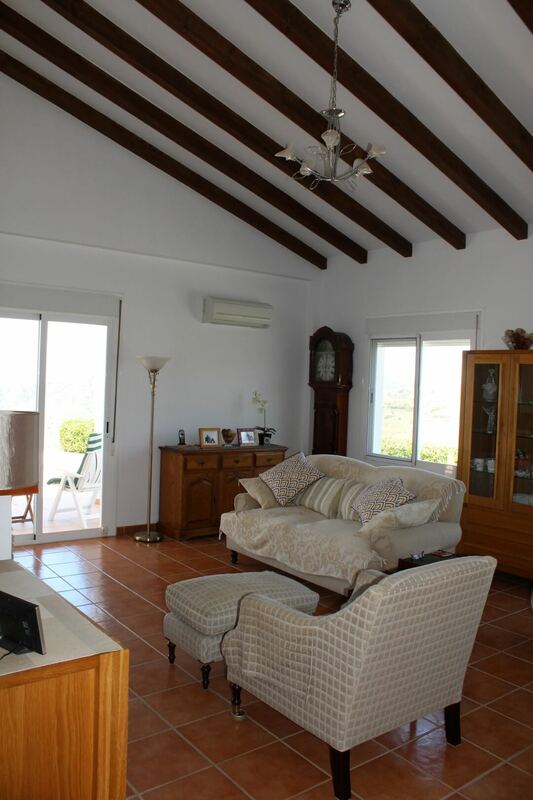 The villa is equipped with underfloor heating throughout, a/c, chimney and ceiling fans. 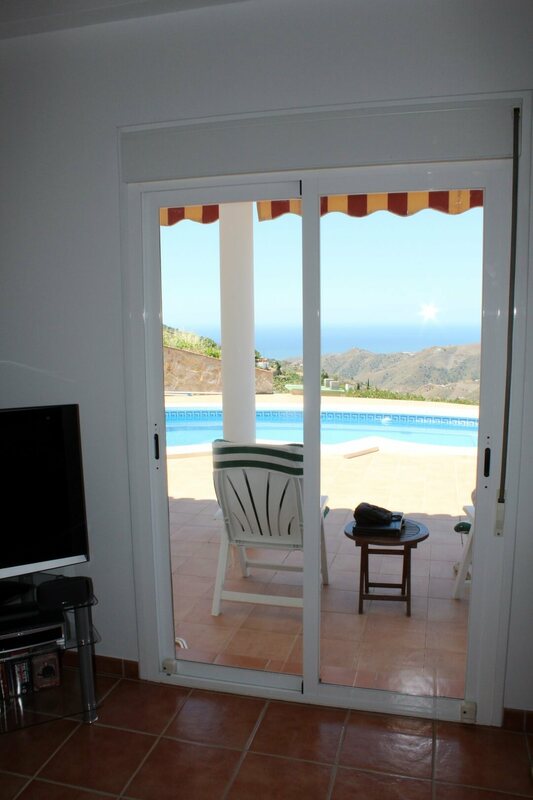 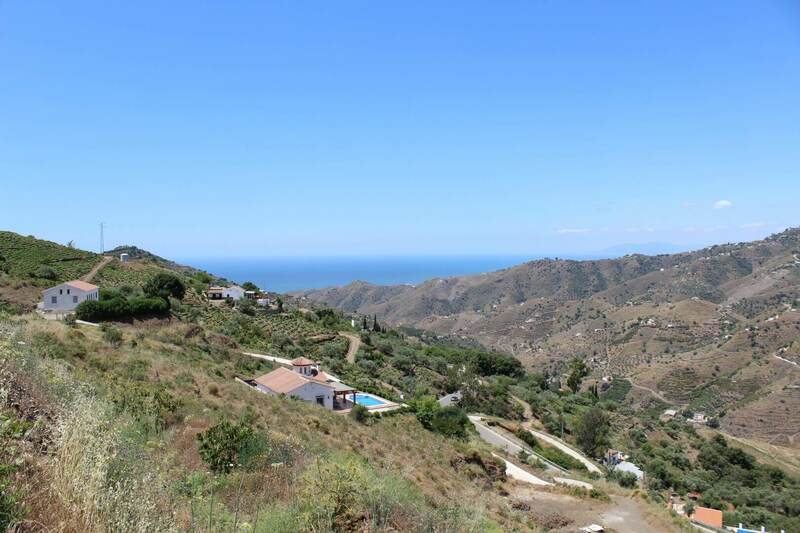 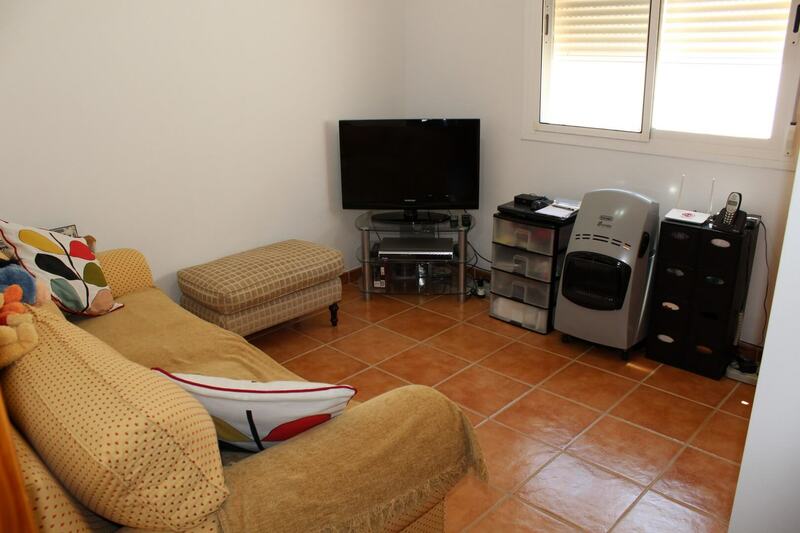 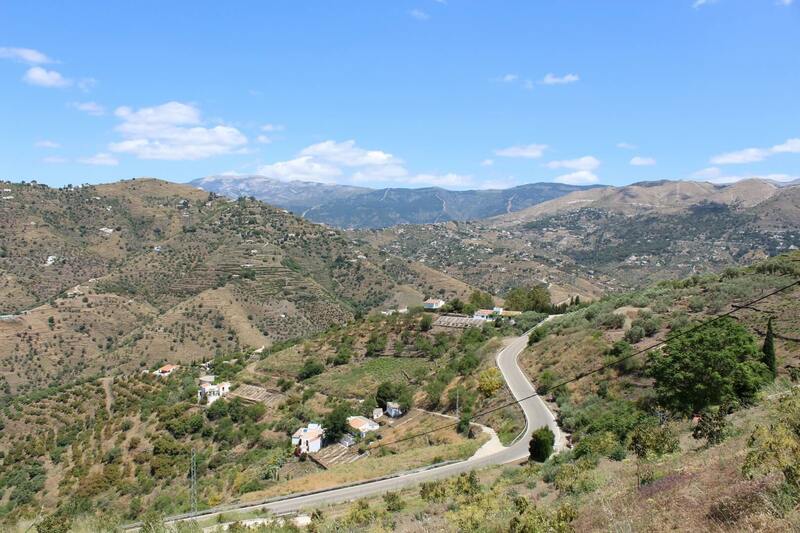 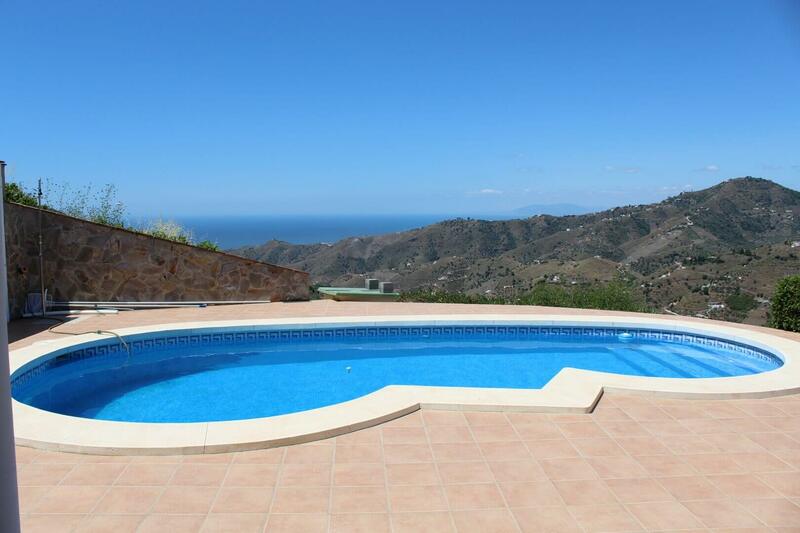 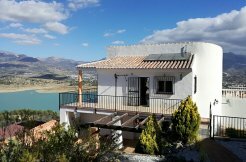 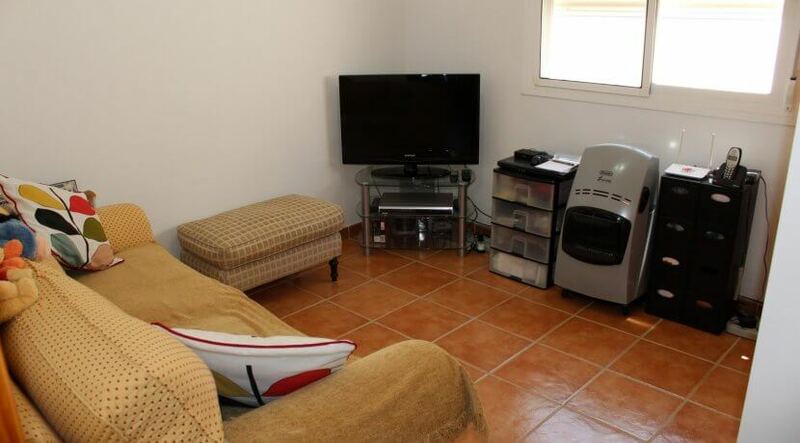 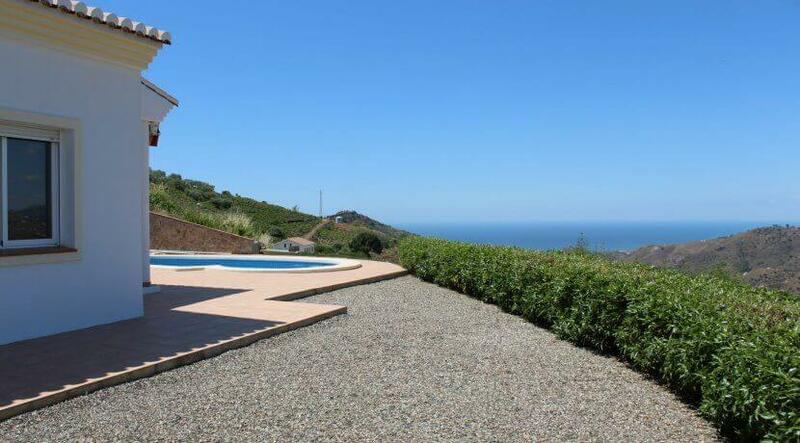 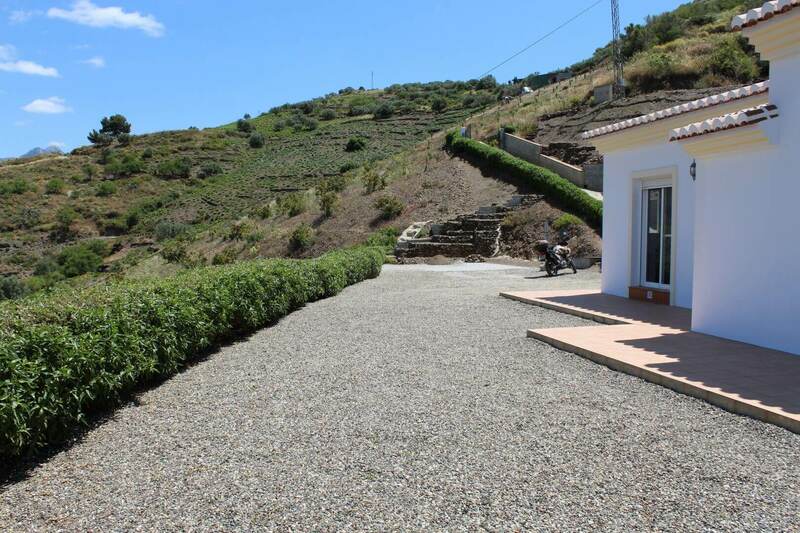 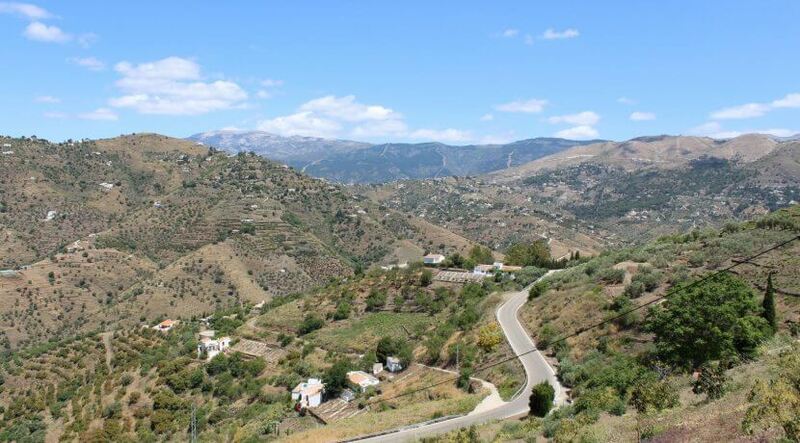 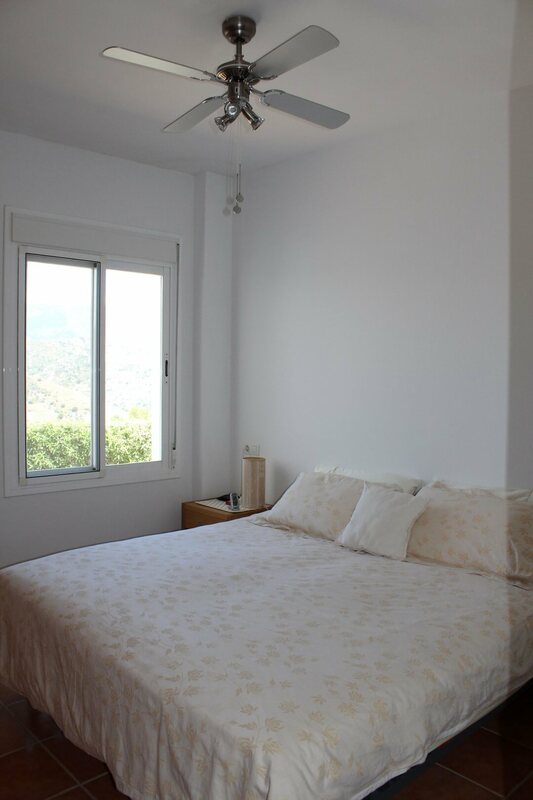 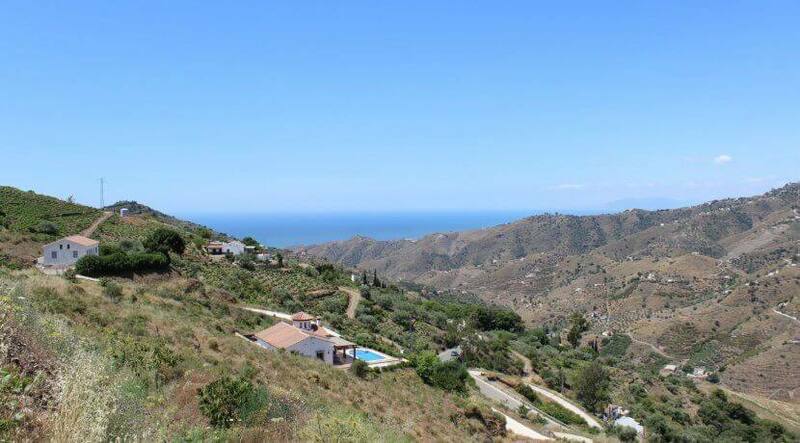 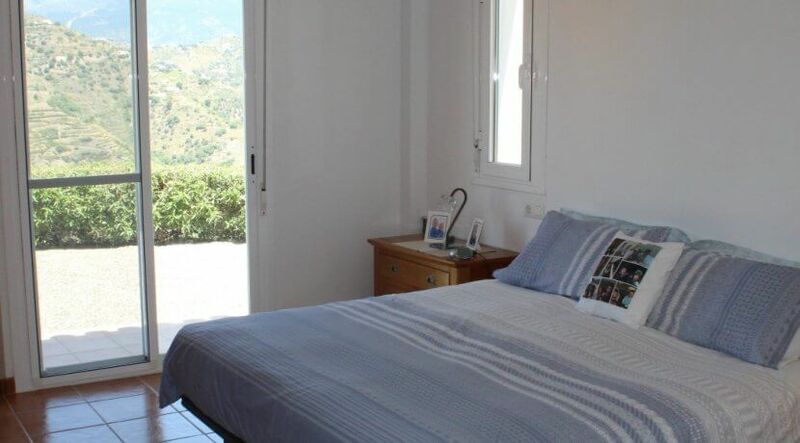 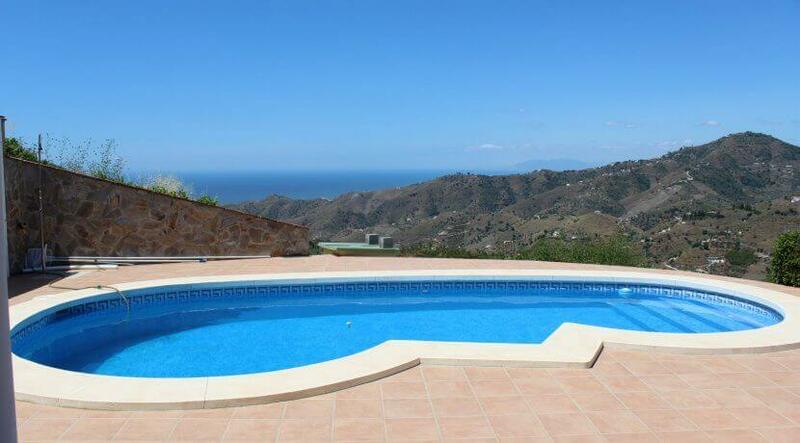 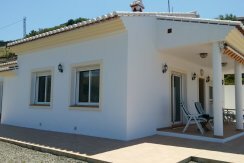 Set in a beautiful natural area with stunning panoramic sea and mountain views. 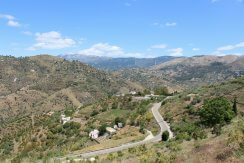 Only half way up to Competa, approx. 20 minutes down to the coast and with just 300 m of well maintained campo track.